Put your FUT team to the test in the FUT Champions Weekend League! Find out how to qualify for the league, how games played in the Weekend League work, & the rewards you can get here! What Is The FUT Champions Weekend League? Take on the best FUT players in the FUT Champions Weekend League and earn great prizes! The best Weekend League players may also be invited to future EA competitive gaming events. 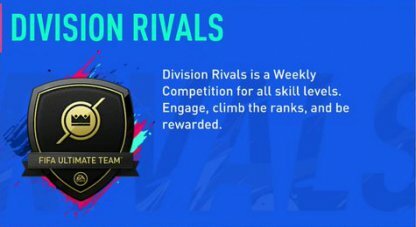 Division Rivals is a separate game mode, but this is where you can earn the FUT Champions Points needed to pay the entry fee for the FUT Champions Weekend League. The number of Points you get for each Division Rivals match you play will depend on your performance (base Points value) and current Division (multiplier). Players in higher Divisions can earn Points faster is they perform well in a Division Rivals match. Starting at players with at least 11 wins during the Weekend League, one of the rewards they will receive is 2,000 FUT Champions Points - enough to qualify for another Weekend League. Unlike the 40 match cap for FIFA 18, FIFA 19 Weekend League matches is capped at 30, reducing the required play time players need to commit to completing the series of matches for the league. Form is the ranking system used for Weekend Leagues. All players start at 0 Form. A win will give +1 Form while a loss will results in -1 Form. Players with similar Form will be then paired during matchmaking. Although Form is the primary consideration for matchmaking, location will also play a factor by way of proximity to game servers to ensure quality matches for players matched against each other. Playing all those hours during a single weekend will be worth it as big rewards are in store for winners! In case you don't have time to compete in the Weekend League, here are other FUT game modes you can play to earn FUT rewards. Play against an AI in this offline game mode. Earn points and improve your rank to earn coins, packs, and other rewards. If you have a lot of FUT Coins or FIFA Points to spare and are confident in you football skills, play FUT Draft offline or online. String together a series of up to 4 wins to get the best rewards possible.